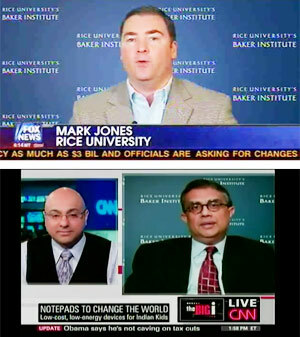 Whether they’re being quoted in the New York Times and Wall Street Journal or interviewed live on CNN, Fox News or NPR, Rice University faculty members are a constant presence in the national media for their groundbreaking research and expert commentary on issues of the day. With a nearly 300 percent increase in media citations over the past five years, Rice News and Media Relations has established itself as a one-stop shop for connecting faculty experts with local, state and national media outlets to comment on breaking news. 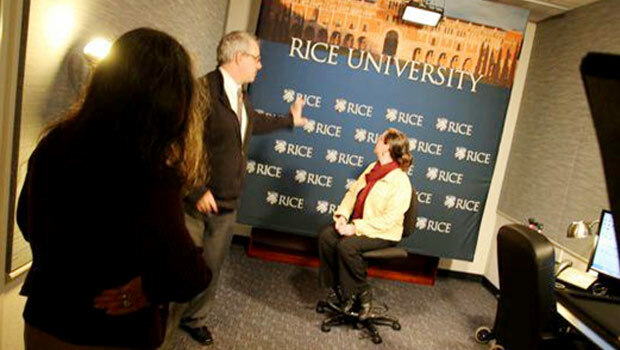 Thanks to the launch of a new VideoLink ReadyCam TV interview studio, Rice’s faculty experts are now available at a moment’s notice to conduct national media interviews — without ever leaving campus. The studio is located in Allen Center, the university’s central administration building, and is capable of transmitting broadcast-quality standard-definition and high-definition video directly to all news media organizations around the world 24/7. Your next interview is only a phone call away. For scheduling, contact David Ruth, director of national media relations at Rice, at druth@rice.edu or 713-348-6327.